The smartphone market in Indonesia was surprised by the presence of Pocophone F1 . How come! Smartphone made this Pocophone come with hardware specs “powerful”, but sold at bargain prices dikantong friendly alias. Well! 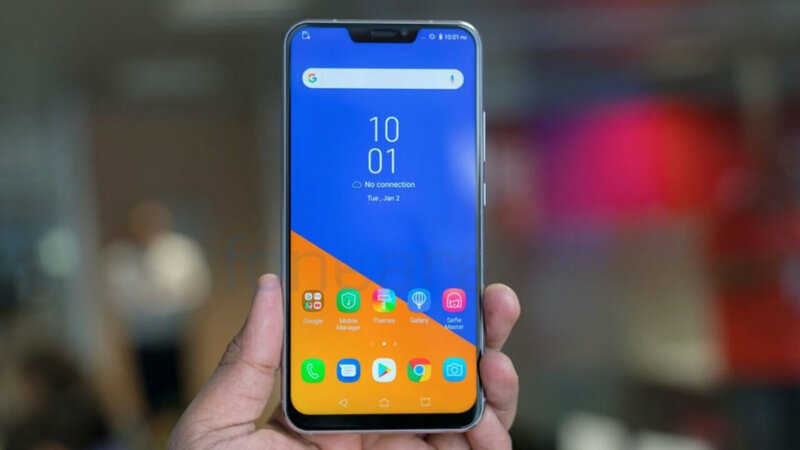 Along with the presence of the Pocophone F1 in Indonesia, ASUS, which also has a flagship champion, the ASUS ZenFone 5Z also does not want to lose the competition. The Taiwanese smartphone manufacturer immediately opened a pre-order offer on the Pocophone F1 launch date in Indonesia. As we all know, the new Pocophone F1 will be marketed on August 30, 2018 later via Lazada. Well! 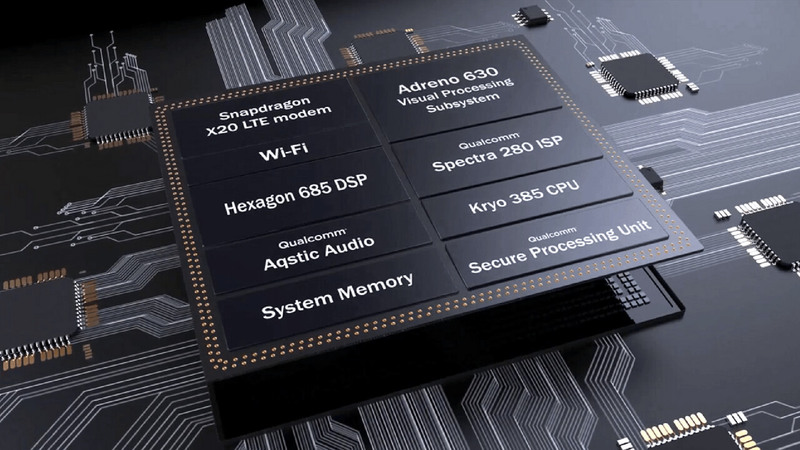 Of the two smartphones that are equipped with Snapdragon 845 , which one do you want to have? Come on! The polling sequence. First introduced at MWC 2018 in Barcelona, ​​ASUS made a surprise by presenting ASUS ZenFone 5Z. This smartphone comes with a Snapdragon 845 Octa-core brain (4 × 2.7 GHz Kryo 385 Gold & 4 × 1.7 GHz Kryo 385 Silver). The ASUS ZenFone 5Z marketed in Indonesia comes with 6 GB RAM combined with 128 GB of storage . One interesting thing, this smartphone is still supported with a microSD slot that can accommodate additional data up to 512 GB . While the Pocophone F1 comes in a variant of 6GB RAM + 64GB ROM and 128GB RAM 6GB + ROM . Pocophone also presents an Armored Edition model (RAM 6 GB + ROM 128 GB), a smartphone body that is packaged with a Kevlar bandage so that it is comfortable when gripped and resistant to scratches. What about the support of the power supply? The ASUS ZenFone 5Z has a 3,300 mAh battery . Having a different battery capacity, the Pocophone F1 is actually much larger, which is 4,000 mAh . Another attraction, the Pocophone F1 has also been supported by the Quick Charge 3.0 feature . The ASUS ZenFone 5Z has a compact body and really looks premium. ZenFone 5Z has a IPS LCD screen with a size of 6.2 inches FullHD + . The rear body of the ASUS-made smartphone is increasingly looking elegant with metal coated with glass. Admittedly, the design presented by Pocophone F1 is very different compared to the ASUS ZenFone 5Z. Pocophone itself admitted that the smartphone design was very minimalist and the rear body was only wrapped in polycarbonate plastic. 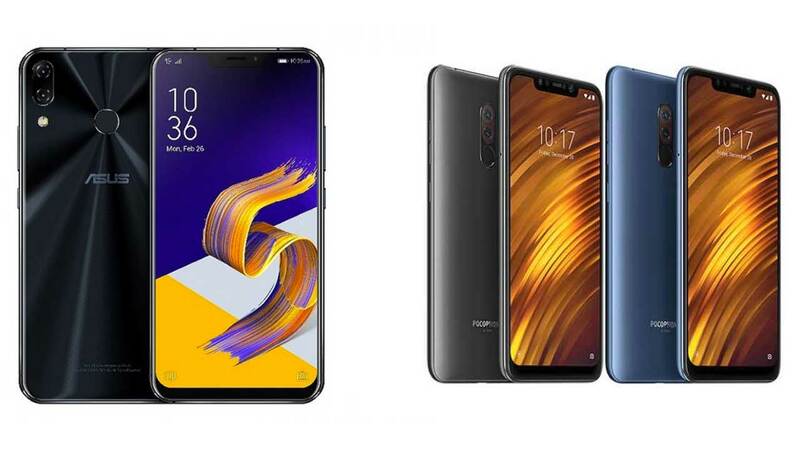 Speaking of screen size, the Pocophone F1 has almost the same screen span as the ZenFone 5Z, which is 6.18 inches FullHD + . 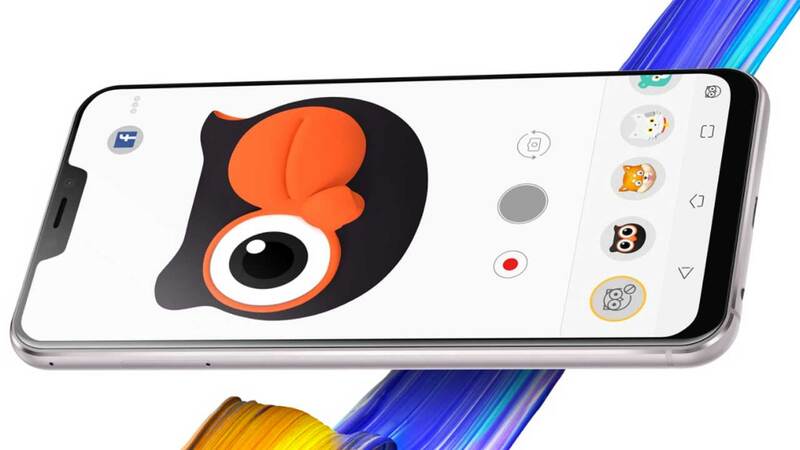 Not unlike the ZenFone 5Z, the Pocophone F1 screen has also been protected by Corning Gorilla Glass and also has bangs at the top of the screen. 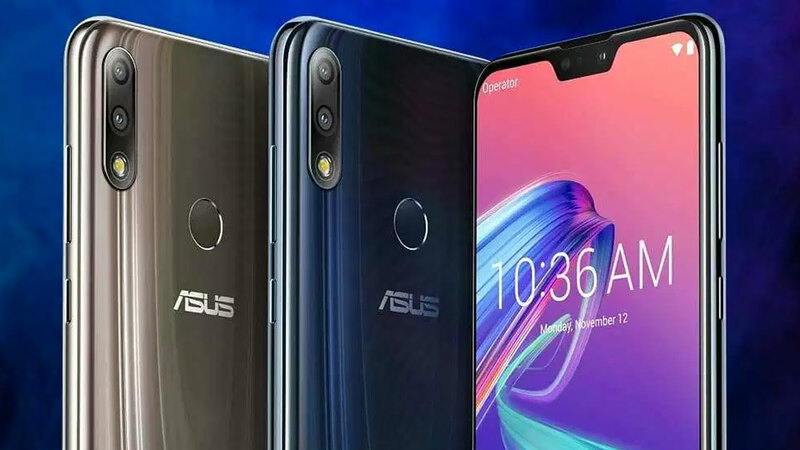 As a modern smartphone, both ASUS ZenFone 5Z and Pocophone F1 have been equipped with dual rear cameras. It’s just that, there is a little difference between the two, especially about the size of the pinned resolution. ASUS ZenFone 5Z by ASUS is designed with dual-camera support which has a 12 MP configuration with an aperture of f / 1.8 + 8 MP wide-angle 120 degree f / 2.0 aperture. The existing dual-camera has also been supported by OIS and EIS. While the Pocophone F1 has dual-camera support that has a 12 MP + 5 MP configuration . Interestingly, Pocophone equipped a 12 MP lens with a SonyIMX363 sensor , 1.4um large pixel, and Dual Pixel Autofocus. 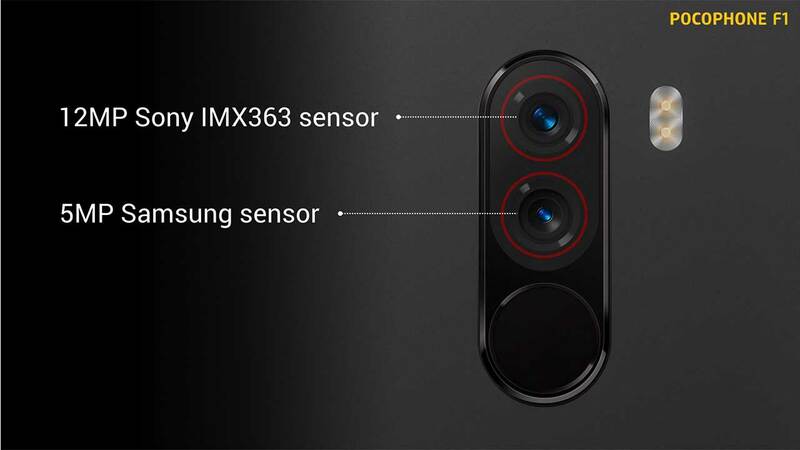 As for the 5 MP lens using sensors made by Samsung. Well! What about the front camera? You can say Pocophone is more daring. Yes! The front camera that is pinned has a resolution of 20 MP with an f / 2.0 aperture. While the ASUS ZenFone 5Z only has a front camera with 8 MP resolution plus an f / 2.0 aperture. One interesting thing is that both ASUS and Pocophone both claim that embedded camera support has been equipped with Artificial Intelligence features . This is to show that the photos produced can be of higher quality. Speaking of software, ASUS ZenFone 5Z has an interface they call ZenUI and has already stepped on version 5.0. The interface developed by ASUS itself is based on the Android 8.0 Oreo operating system . Meanwhile, Pocophone also packs the Pocophone F1 with the Xiaomi interface, which is the modified MIUI and they call it MIUI for Poco . This interface was also developed based on Android 8.1 Oreo and promised this smartphone was ready to upgrade to Android 9 alias Pie. About the security features, ASUS ZenFone 5Z and Pocophone F1 are both equipped with a fingerprint scanner sensor located on the back of the device. Both are also equipped with other biometric security features, namely face unlock . It’s just that, biometric security features face unlock using the front camera owned by Pocophone is more interesting. Because, Pocophone complements the Pocophone F1 with an infrared lens so that the face unlock feature can work optimally in low-light or low-light environments. Pocophone also complements Pocophone F1 with LiquidCool Technology . It sounds interesting because this technology can eliminate excessive heat if the smartphone is used to run heavy applications or games. ASUS also has a feature that sounds very interesting, namely Zenimoji . This is a moving emoji that resembles Animoji. The main character is Zenny, which is the ASUS mascot of cute owls. There are also other cute animal characters provided. ASUS ZenFone 5Z has been offered pre-order starting on August 27, 2018 . ASUS promises, this homemade smartphone can be purchased at a price of IDR 6.7 million through many online stores or consumers can also come to Erafone stores in Jabotebek, Bandung, Medan, Palembang, and Solo. While Pocophone F1 will be sold through Lazada starting August 30, 2018 . Pocophone F1 6 GB RAM + 64 GB ROM is priced at Rp . 4.5 million . 128GB 6GB RAM + ROM sold for Rp. 5 million and the Armored Edition model (RAM 6 GB + 128 GB) sold for Rp . 5.2 million .